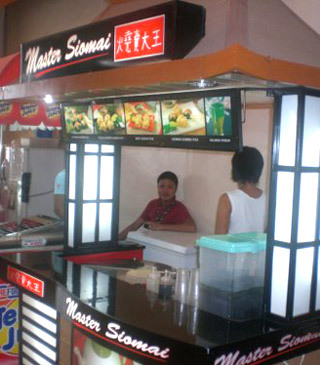 Master Siomai is a food cart franchising business developed by Masterrific Foods in the Philippines. The siomai cart is located in various areas including schools, food courts, traditional markets, etc. In 2008, Master Siomai had 45 Master Siomai franchises, and with 2 to 4 of them opening every week, Master Siomai soon became one of the largest franchising companies in the Philippines. By 2012, Master Siomai already had more than 700 franchises selling delicious siomais in the Philippines, and they need to make 120, 000 siomais every day. 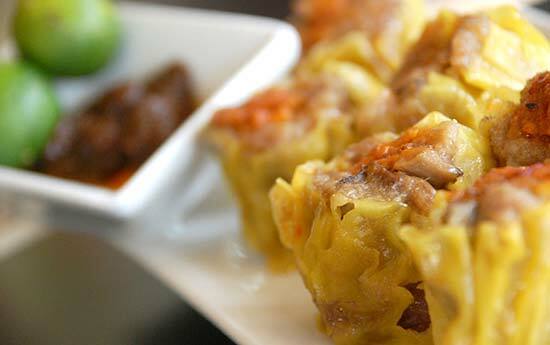 How can Master Siomai keep up with the fast growth and still be able to deliver the large volume of siomai? At the beginning, Master Siomai had 40-50 people making siomai by hand, but slowly the production amount couldn't keep up with the demand and the inconsistency of siomai quality became a concern. 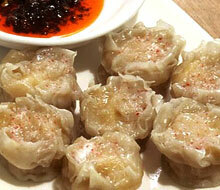 In 2008, Master Siomai met ANKO at a trade show and bought a siomai making machine, HSM-600, to try it out. Two months later, Master Siomai purchased another siomai making machine because of the great satisfaction. Master Siomai had the siomai making machines running 24 hours a day to make 120,000 siomais, and later, to reduce the labor cost and increase siomai quality, they decided to buy more machines. 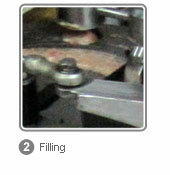 At the same time, they also proposed a Japanese siomai making machine requirement. Japanese siomai is also called seaweed siomai; it was developed by Master Siomai to provide dynamic selections of siomais. Months later, ANKO developed a semi-auto seaweed siomai making machine and Japanese siomai also became a popular food in the Philippines. ANKO is a food processing equipment supplier that has been providing quality siomai making machines for more than 30 years. ANKO's strong R&D team has been designing innovative food processing equipment to assist restaurant owners or food processing companies to perform effective jobs. ANKO's turn-key project design has helped clients to build efficient production lines and eventually to make their business profitable. ANKO’s stainless steel material is imported from Japan to ensure the high quality of each machine, which means that every food processing equipment is built to last forever. As a result, the implementation of siomai making machine has allowed Master Siomai to expand their business not just in Manila but also to the south of the Philippines. ANKO recently has just finished developing 100% automatic Japanese siomai making machine to upgrade Master Siomai’s production capability, which allows Master Siomai to expand their franchising business quickly. 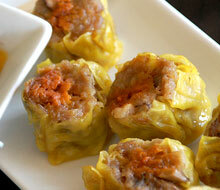 Master Siomai is a food cart business developed by Masterrific Foods. Their siomai making machine supplier, ANKO, is a Taiwanese food machine expert who provides high production capability and reasonably priced machines based on their 30 years of experience. 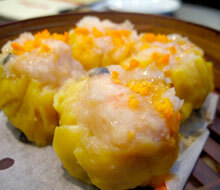 In 2008, ANKO met the boss of Master Siomai, Mr. Ernilito, who had a strong desire for a shumai (shu-mai) making machine. Therefore, a HSM-600 was purchased by Masterrific, and their cooperation began. 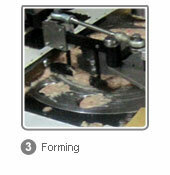 The next year in 2009, due to Master Siomai's increasing siomai business, more siomai making machines were procured. During ANKO's visit to the Philippines, Mr. Ernilito proposed a project regarding their intension to transform their handmade seaweed siomai production line to an automatic one. 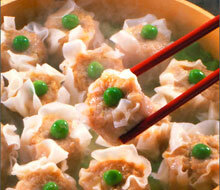 To have a siomai wrapped with a layer of seaweed, technically, there are a few difficulties which need to be overcome. First off, unlike the usual flour wrapper, seaweed is very light and crispy, and that makes it extremely hard for the machine to use it as a coating. Second off, usually seaweed is suitable for eating it while crunchy, but the steaming stage makes it soft. However, after tasting Master Siomai's handmade seaweed siomai, the sweet, juicy stuffing with a chewy texture, with an ocean flavor of seaweed, the delicious seaweed siomai convinced ANKO to come up with a solution. In addition, ANKO realized its potential in the international market, and after assessments, ANKO took the assignment and started to develop a siomai maker that requires a seaweed wrapper. 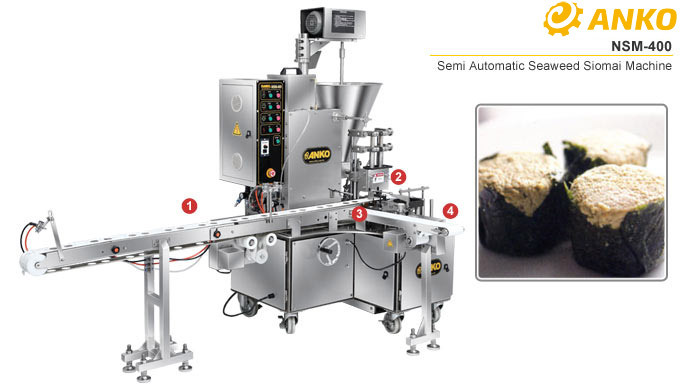 Even though ANKO used HSM-600 siomai making machine as a base to perform customization, they still modified more than 50% of it, especially on the seaweed wrapping section. 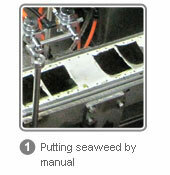 Before a seaweed wrapper starts to wrap, it needs to be spread with water to soften it. Therefore, the water spreading amount and the stopping period before next step are critical because, without correct calculation of these factors, the seaweed can be either too soft or too hard for stuffing. After intensive interaction between the engineering and manufacturing departments and numerous modifications, the seaweed siomai making machine was manufactured on-time. Mr. Ernilito flew to Taiwan and personally conducted an assessment of the seaweed siomai making machine. When the siomai machine arrived in the Philippines and started to process, the defeat rate went up to 30%, which was inconsistent with the test results in Taiwan. ANKO conducted a thorough investigation and found out that the seaweed's thickness was the reason; consequently, more adjustments were made, until the seaweed shumai machine's performance was acceptable. So far, Master Siomai has procured two seaweed siomai making machines (NSM-400), and plan to purchase one more in 2010. 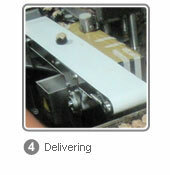 Additionally, ANKO's innovative seaweed siomai making machine is also sold to Europe, U.S., Japan and Korea. ANKO's experience and relentlessness in designing a good siomai making machine paid off. 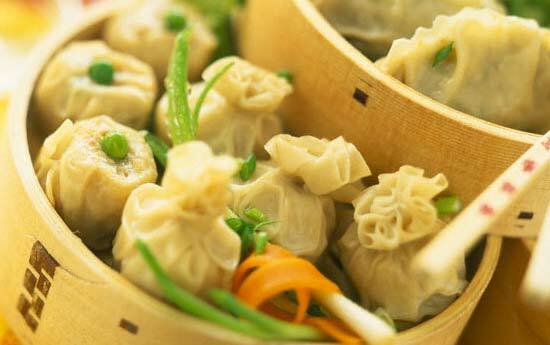 * Siomai, (shumai, shu-mai, siumai, shaomai, shu-mai, shui mei, shao mai or siew mai) is a traditional Chinese dumpling served in dim sum. 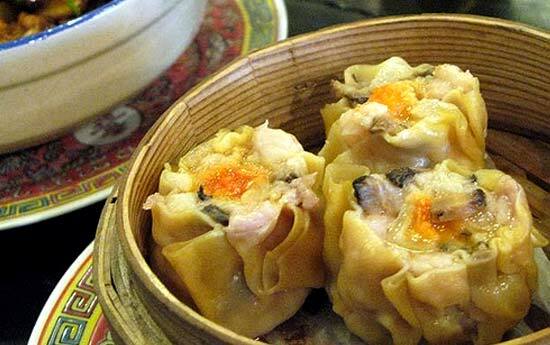 There are two regional varieties of shumai in China, a Cantonese version and a version from the Jiangnan region, along with many other variations in other countries.